From June 5 through June 18, 2013, a small group for Alaska consisting of Nathan Saxby, Hanna Gillis, Jessi Martellaro and Bob Arnold traveled and met Karen eye medic Nay Hser in MaeSot, Thailand and return to the AlasKaren Training Center in Bung Klung ready for multiple cataract and eye surgical patients. Many remote spectacles were fit and dispensed. New to this trip were solar powered hearing aids. 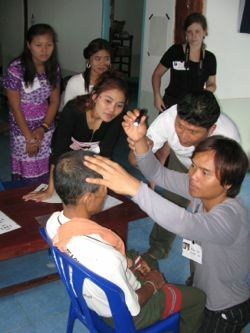 Burma patients were connected to American prayer partners called "Burma Buddies." FBR sent volunteers Allie and Carolyn while Partners MaeSot sent nurse Heidi Friesen. 24 patients had sight-restored through NayHser's cataract surgery using Frank Green's microscope. 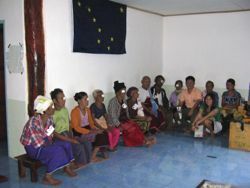 Eliya and the medics of LehTongKu received education and delivered excellent care.